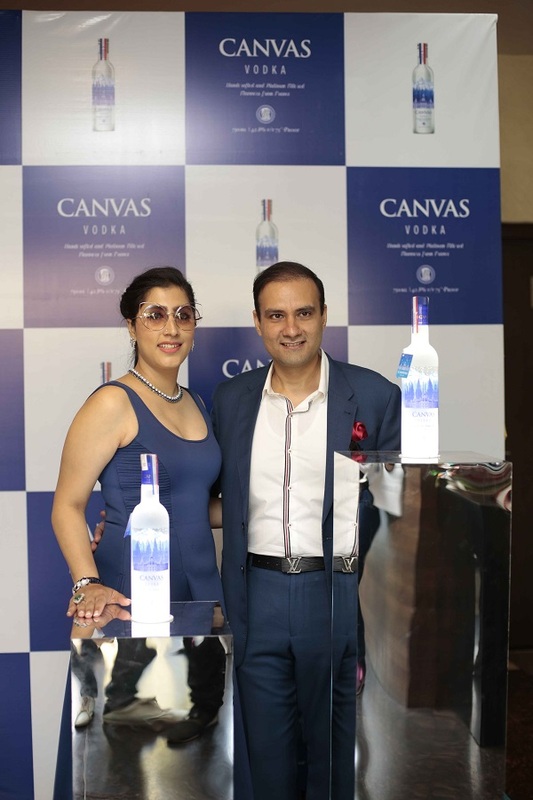 Recently Canvas Vodka was launched at a mega event hosted by Whiskin Spirits Private Limited, the makers of Whiskin Craft Special Reserve Grain Whisky, which has taken every market that it has entered by storm. The event was a gala success and attended by the who’s who of the liquor industry notable among which were Mr. Rajiv Gupta (CEO – Wave Group), Mr. Shobhan Roy (President of All India Brewers Association) and Industry veteran Mr. Jolly Bhargava having numerous blockbuster brands to his credit. After the thunderous response to its Whisky by the name of Whiskin Craft Special Reserve Grain Whisky, (also known as WSPL) has introduced Canvas Vodka in India and the Middle East. Whiskin Craft Special Reserve Grain Whisky (Scotch Blended Whisky) is incidentally the fastest growing whisky in Delhi NCR. Despite being a new entrant in the Indian Spirits Industry having well-entrenched local and international players, WSPL has managed to make significant inroads into the Indian Market based on its product acceptability, superior quality and strong work & business ethics. It is the fastest growing liquor company in India and growing at a CAGR of 130%. Its other products like Dignity Whisky and Glider Whisky have been highly appreciated by the customers. WSPL is also exporting its products to the Middle East and South America.